Since the day our doors opened, we have been a proud partner of James Hardie, America’s most popular siding company. We’ve been singing their praises for many years, but now James Hardie is reciprocating the love. They have named Robert Gordon Services a 2017 President’s Club Award winner! Being a part of the James Hardie Contractor Alliance Program qualifies a company to compete for this honor, but only select contractors from across the United States are recognized for their performance and expertise, every year. Beyond the opportunity to compete for this recognition and award, the Alliance Program has been a tremendous benefit to us in general, by providing continuing education, marketing, lead assistance and many other tools. Our ongoing commitments and investments with this partnership have allowed us to reach the highest status possible, as an “Elite Preferred” James Hardie contractor. While Robert Gordon Services has been providing high-quality fiber cement siding to the greater Triangle area, James Hardie has tracked our volume of sales, customer satisfaction, growth and other factors. They’ve also followed all their other members on these same statistics. The highest performing members of the Contractor Alliance Program are then recognized with the yearly President’s Club Award. These contractors are selected from all across the nation from two categories: the top five contractors regarding year-over-year growth and the top 10 overall regarding sales volume. When all the numbers were crunched, and the nation’s top Hardie contractors were selected, Robert Gordon Services was recognized on this elite list of twenty companies in the United States. This is a fantastic honor! James Hardie siding is the most common siding in the nation, and we are among the best of the best at installing it efficiently and to our customers’ satisfaction. 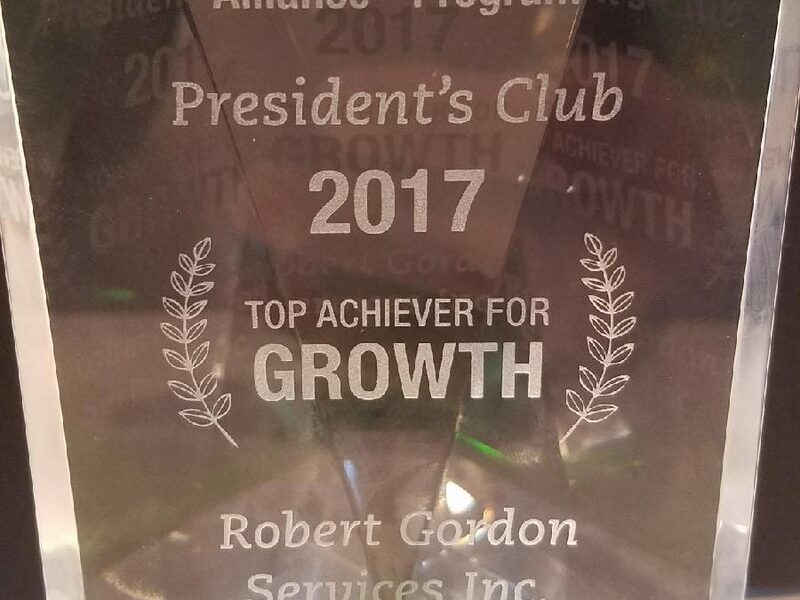 While this is a sign of our great success, Robert Gordon Services will continue to focus on improving and growing as a company. The Triangle area is predicted to be one of the fastest growing regions in the nation over the next 20 years. We look forward to this growth and see it as an opportunity to install excellent products like James Hardie siding for all of our customers. People are moving to Raleigh, Durham, Chapel Hill, Cary, Morrisville and the greater Triangle region every day, and we are proud to be a local (and national!) leader able to provide them award-winning service. Call us today at 919-250-8038 to learn more about Robert Gordon Services and James Hardie siding.